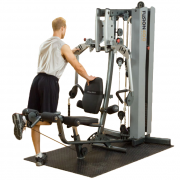 Is it a state-of-the-art traditional gym? 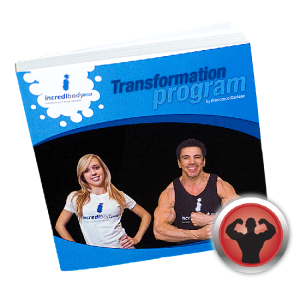 Is it a revolutionary functional trainer? It’s both! 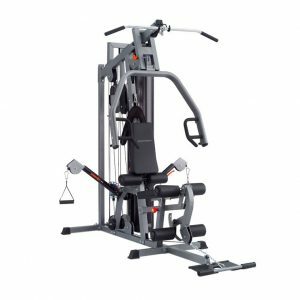 The Fusion 400 Personal Trainer features industry-shattering innovations that put you in position to do hundreds of exercises in the comfort of your own home. 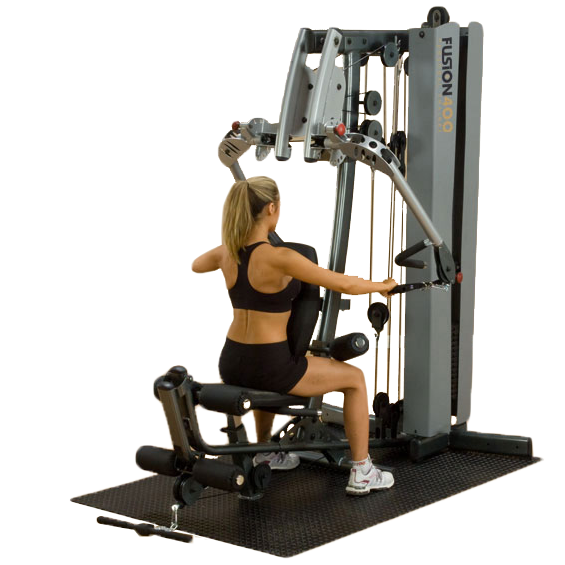 Serious fitness enthusiasts demand versatility and adjustable functionality from their equipment in order to stay creatively challenged and engaged with their workouts. The Fusion 400 delivers enough mold-breaking features and industry-exclusives to keep even the most advanced user challenged to maximize its potential. The Fusion 400 features a game-changing new press arm and pulley system with isolateral 250 degree pivots for unmatched versatility and function. 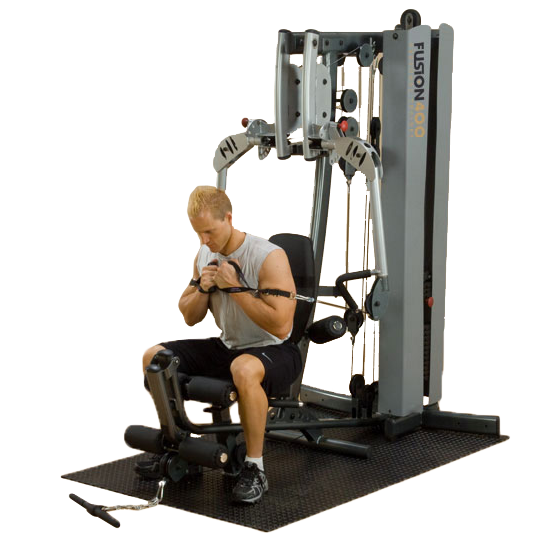 Cables have been threaded down its press arms (an industry innovation courtesy of the design engineers at Body-Solid), and both arms also move independently, allowing you to isolate one arm at a time. 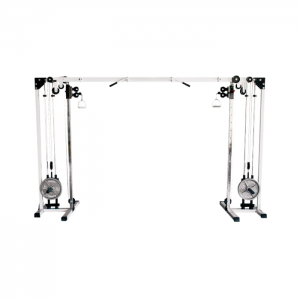 The arms even rotate on cams, allowing you an unprecedented freedom of positions and movement for your routines. You can even use the Fusion 400 with an exercise ball if you wish. 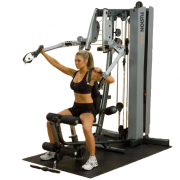 The Fusion 400’s single-stack, multi-function approach to home gym design offers you an amazingly diverse workout, enabling you to isolate individual muscles or introduce functional training into your routines. 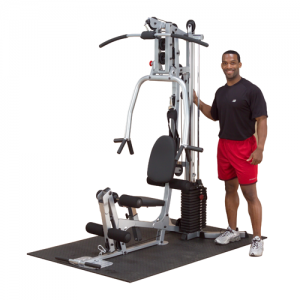 It also offers the most unique and desirable attachments available in the home gym market, including leg press, multi-hip and weight-assisted vertical knee raise/chin dip stations (which are sold separately and are available under the Accessories tab above). Rear-mounted pull-up or vertical knee raise and dip stations further enhance the versatility of this hard-working, long-lasting multi-tasker. The Fusion 400’s game-changing aesthetics, unsurpassed functionality and industry-leading technology offer you the opportunity to train on the cutting edge of fitness. 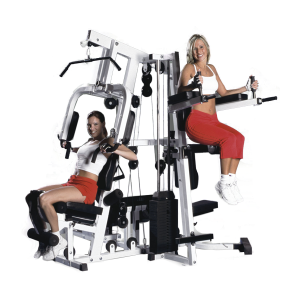 Best of all, this highest quality home gym is backed for a LIFETIME of use by the best warranty in the industry. 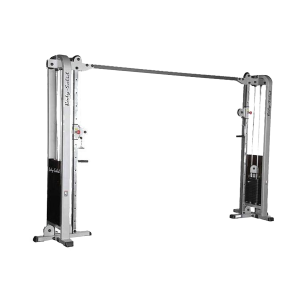 The hybridization of tradition and functional training truly reaches its pinnacle with the Fusion 400. 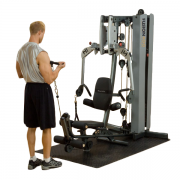 Backed by the best warranty in the business, the Fusion 400 Personal Trainer offers state-of-the-art engineering and revolutionary features you will not find anywhere else. 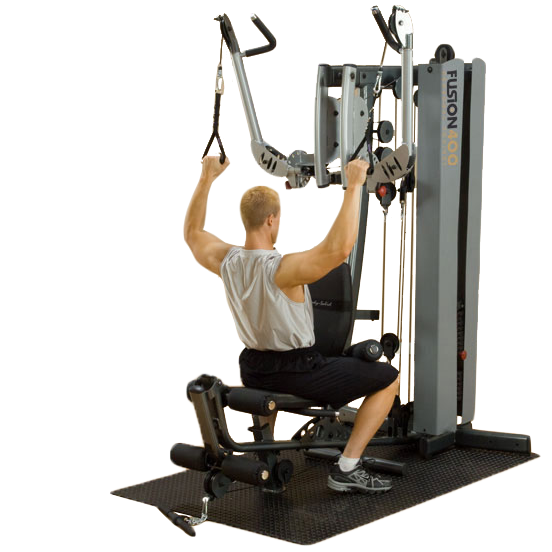 • Revolutionary new press arm and pulley system with isolateral 250 degree pivots for unmatched versatility and function. 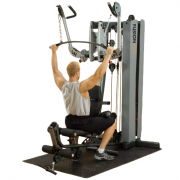 • Press arms can be adjusted from a mid-row position all the way up to a lat pulldown position. 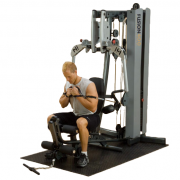 • Both traditional and neutral hand positions ensure quality isolateral pressing motions. 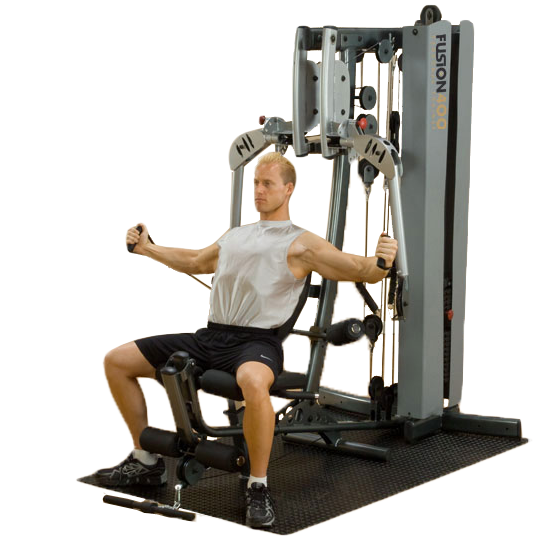 • Two swiveling pulleys allow for isolateral mid-row exercises, functional pressing motions, pectoral flys and several high pulley exercises. 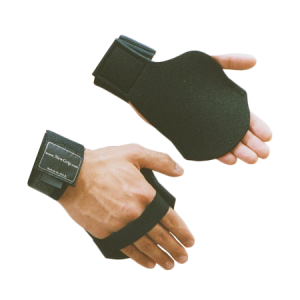 • Multi-ring nylon handles ensure a quality fit and comfortable grip for any user. 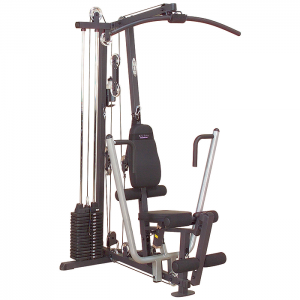 • Full length lat bar for traditional pulldowns. 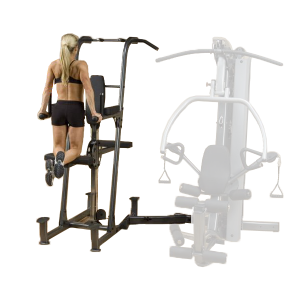 • Two-way adjustable back pad provides full support for mid-rows as well as decline, flat, incline and shoulder press exercises. 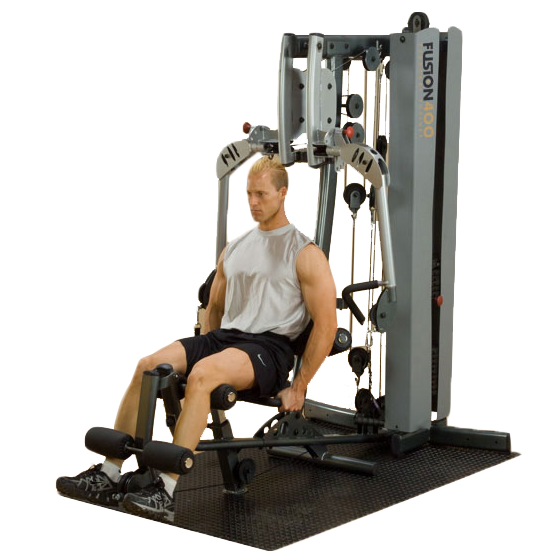 • Gas-assisted seat pad provides simple, easy adjustments. 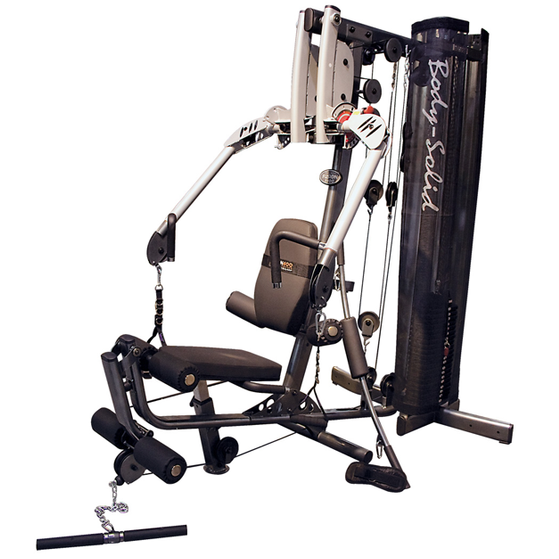 • Bearing pivot points at the press pivot and leg developer pivot ensure a lifetime of smooth operation. • Heavy gauge oval tubing provides a stable, compact footprint. • Superior engineering and construction backed for a LIFETIME of use by the best warranty in the industry. 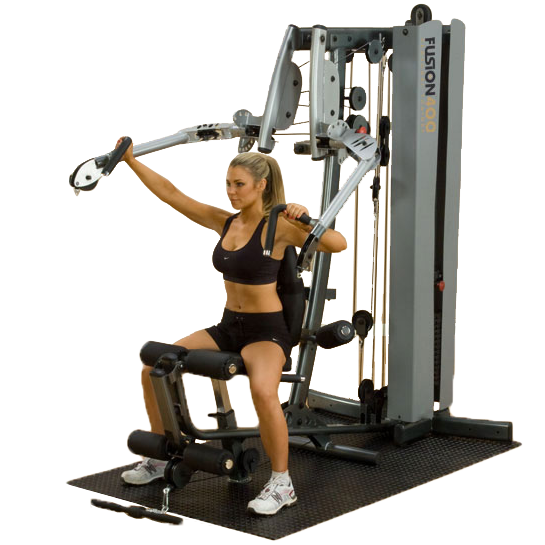 The purpose of functional training is to adapt or develop exercises which allow individuals to perform movements and motions which mimic those of their daily activities. 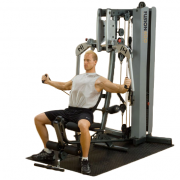 Originally developed by physical therapists, functional training exercises have grown extraordinarily popular with fitness enthusiasts because of their capacity to target core muscles of the upper body, lower body and abdomen, leading to better muscular balance and joint stability. • …and dozens of others! 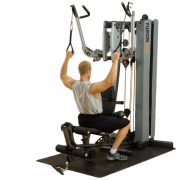 NOTE: Gym comes standard with new Cloth Shroud. Metal Shroud pictured in exercise shots is no longer available. 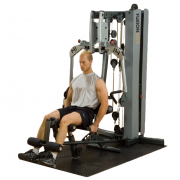 • Choice of 160 lb, 210 lb, or 310 lb, weight stack. • New curved, design forward aesthetic. • 50mm x 100mm 11 ga. oval tubing. 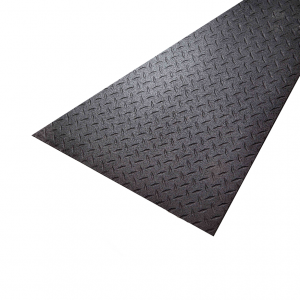 • 6mm upper support plates. 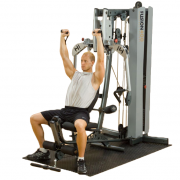 • Independent, fully adjustable Press / Pulley Arms. 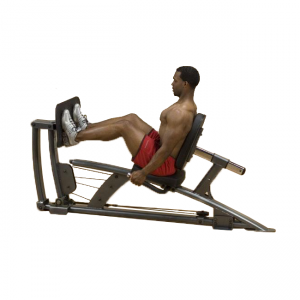 • Leg extension with pivoting rollers. 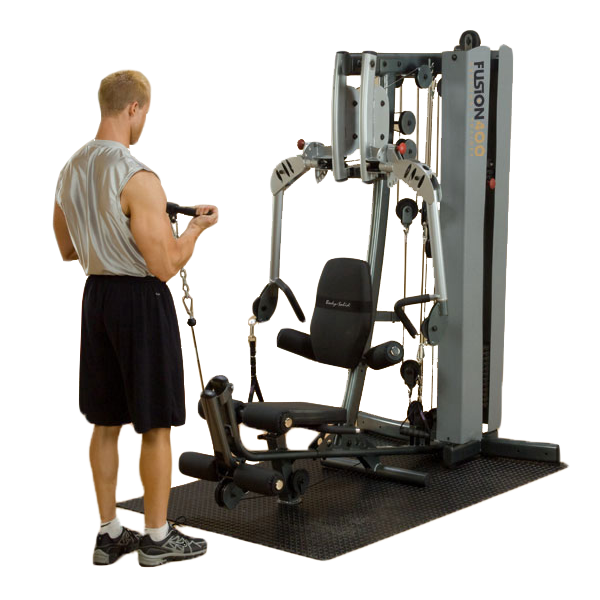 • Lat pull down with wide groove pulley. • Gas assist telescoping seat. • High density foam handle grips and chrome endcaps. • Dimensions: 83″ H x 78.5″ L x 49″ W.